This truck was sold on September 22, 2007. I originally got the car September 2, 2003 with 112k miles, and sold it with 124k miles. 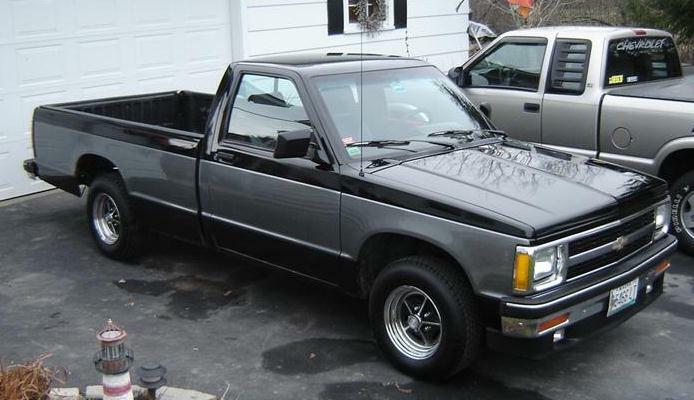 It was replaced by a 1999 Chevy S-10. Below with my Summer T-Type Rims. MISSION ACCOMPLISHED!!! Below are my WH1 Buick Regal and now my WH1 Chevy S-10! Additional Information of the previous owners. Summertime installation of a "Pie Plate" or "Pizza Plate" air intake mod. I acquired the truck on September 2nd, 2003, it's been through quite a trip. Thanks for the memories!!! Website Started: October 11th, 2004.